For months, a post titled Theatre of the Mind: My Oliver Sacks Quandary, has lain in my drafts folder. Today as I come to finally writing about Sacks, I can't remotely recall what my Oliver Sacks quandary was. Note to Self: Make Better Notes to Self. A few days ago, Oliver Sacks, British neurologist and best-selling author of such books as The Man Who Mistook His Wife for a Hat and Awakenings (which was turned into a film with Robin Williams and Robert de Niro) wrote a beautiful article braiding together birthdays and the periodic table. At the start of this year, Sacks was diagnosed with metastatic cancer and now, having just celebrated his 82nd birthday in style (following the advice of W. H. Auden who insisted one should always celebrate one's birthday, no matter how one felt), he writes of the delightful science in sharing our birthday number with a chemical from the periodic table. I studied chemistry myself at A-Level, and the romance of sharing my birthday with a natural element - dangerous or otherwise - appeals very much to me! And now, at this juncture, when death is no longer an abstract concept, but a presence — an all-too-close, not-to-be-denied presence — I am again surrounding myself, as I did when I was a boy, with metals and minerals, little emblems of eternity. At one end of my writing table, I have element 81 in a charming box, sent to me by element-friends in England: It says, “Happy Thallium Birthday,”a souvenir of my 81st birthday last July; then, a realm devoted to lead, element 82, for my just celebrated 82nd birthday earlier this month. Here, too, is a little lead casket, containing element 90, thorium, crystalline thorium, as beautiful as diamonds, and, of course, radioactive — hence the lead casket. First of all, I LOVE your banner photo. Outstanding! 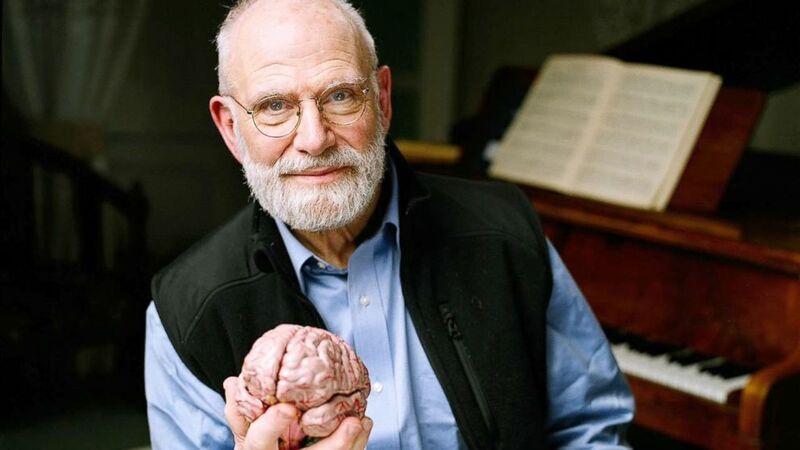 I also love Oliver Sacks and am pleased to be told of the TED talk. I will be sure to watch it.And read his latest book. He has led a wonderfully rich and meaningful life and has contributed greatly to our understanding of the mind......he also reveals the heart of a true humanitarian, which I so admire........I hope your scan goes very well with no unexpected or funny turns, and that the report is completely positive. I am glad you have a cautious doctor. I love the quote from Sacks that you end your post with,.........take care, my friend........I will be thinking of you.......remember you have a Talmud angel over this side of the pond. Smiles.